The health and well-being of faculty and staff is a priority at Ohio State. All of the benefits available to you reflect Ohio State’s commitment to providing high-quality, affordable medical plans and represent a significant component of your total rewards. Access to prescription drugs is a vital part of our medical coverage. All of the university’s medical plans include prescription drug benefits through Express Scripts, available via home delivery mail-order service and nationwide retail pharmacy locations. You choose which option is most convenient for you and your family. With the Express Scripts mobile app, you can manage your prescriptions on-the-go. Features include refilling and tracking the status of home delivery prescriptions, viewing lower-cost medications available and setting reminders. You can also compare your out-of-pocket costs based on the days’ supply of medication, as well as where you are purchasing it. Go to express-scripts.com and select “Register” or download the Express Scripts mobile app for free from your mobile device’s app store and select “Register Now” in the app. 2 The deductible applies to brand name medications only. 3 Retail90 is Express Scripts’ program which allows individuals to fill their prescriptions for up to a 90-day supply via select retail pharmacies. NOTE: The Prescription Drug Plan, Value-Based Drug Plan and Specialty Medication Plan designs have a combined deductible and annual out-of-pocket maximum. Certain prescription drugs require prior authorization. Once approved, the authorization is valid for up to one year. If a prescription drug requiring prior authorization is not approved for coverage under the plan, you will be responsible for paying the full cost of the medication. For greater details about the Prescription Drug Program, refer to the Faculty and Staff Health Plans Specific Plan Details (SPD) Document. If the information in this summary differs from the Specific Plan Details document, the Specific Plan Details document will govern. Express Scripts offers prescription drug benefits through nationwide retail pharmacy locations and a home delivery mail-order service. 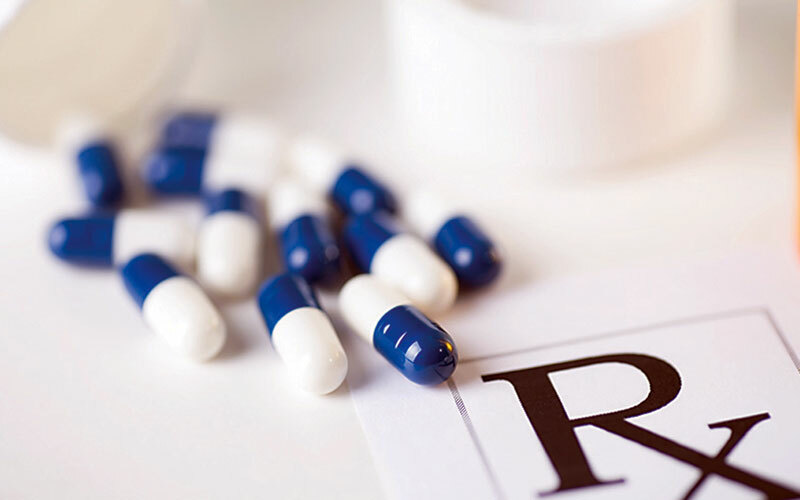 You may use your retail benefit for prescription medications required on a short-term basis, such as antibiotics, or for a 30-day supply of medications used on a continuing basis. The Express Advantage Network allows members to take advantage of higher savings at a preferred retail network pharmacy. You may still use retail pharmacies that do not participate in the Express Advantage Network, but your out-of-pocket costs will be higher if you use a non-preferred retail pharmacy. If you utilize an excluded pharmacy (not listed as preferred or non-preferred), you will be responsible for paying the full cost of any medication. In addition to a 30-day supply, you may also utilize Retail90 (also known as Smart90) which allows you to fill a 90-day supply of medication at certain preferred pharmacies in the Express Advantage Network. To locate a network pharmacy, use the Locate a Retail Pharmacy tool offered by Express Scripts. When you have a prescription filled at a network pharmacy, present your medical/Rx card to the pharmacist, who will use an automated system to verify your coverage and prescription cost. To find out the status of your pharmacy or the cost of medications, please contact Express Scripts at (866) 727-5867. Please note that all Walgreens locations are excluded from the Ohio State benefit. Express Scripts’ home delivery service provides a convenient and cost-effective way to order a 90-day supply of medicine you take on a continuing basis. Through this program, you can get many of the same maintenance medications that you have filled at a retail pharmacy delivered right to your mailbox. Home Delivery can be used for a new maintenance prescription or refills. Register on the Express Scripts website. Generic drugs must meet the same FDA standards of composition, safety, strength, purity and quality as brand-name drugs. If you receive a generic drug, you will pay a lower amount than for a brand-name drug. The next time you receive a prescription, ask your doctor or pharmacist if a generic alternative is available and appropriate for you. The medications on the Prescription Drug Formulary Guide are chosen based on comparative clinical effectiveness, safety profiles and opportunities to help contain costs. Brand-name medications that are not part of the formulary list are commonly considered non-formulary. Non-formulary brand-name drugs are typically those that have a generic equivalent, are higher cost or are newly released to the market. When a new drug comes onto the market, the Express Scripts Pharmacy and Therapeutics Committee evaluates the drug’s safety and efficacy compared to similar drugs already available. 1 The Value-Based Drug Plan eligibility is based on actively participating in the Care Coordination Program for management of specific chronic conditions (asthma, chronic obstructive pulmonary disease (COPD), diabetes, and heart disease). Visit yp4h.osu.edu to learn more about the Care Coordination Program. 2 Non-Formulary Brand Name Drugs are not eligible for the Value-Based Drug Plan. 3 The Value-Based Drug Plan is not available at Non-Preferred Pharmacies. Specialty medications are usually high-cost pharmaceutical products that are generally, but not exclusively, biotechnological in nature. The Ohio State Wexner Medical Center Outpatient Pharmacy and Accredo Specialty pharmacy through Express Scripts are the only pharmacies in the exclusive specialty network. If you do not have your specialty medication filled at one of these two pharmacies, it will not be covered. 1 The infertility treatment medical benefit includes the cost of prescription medications and requires prior authorization from OSU Health Plan. 2 The Prescription Drug Program annual out-of-pocket maximum does not apply to infertility medications. 3 Infertility treatment has a separate lifetime maximum benefit. 4 The infertility drug coinsurance does not have a maximum coinsurance per prescription for formulary and non-formulary brand name medications. At least one form of women’s contraception in each of the 18 “methods” of contraception outlined in the FDA birth control guide. See OSU Health Plan Forms & Downloads Women only. No age restriction. Prescription and Over-the-Counter products with a physician prescription. Men and women age 18 and older. Certain medications are excluded from the prescription drug plan and not covered. The Faculty and Staff Health Plans Specific Plan Details document has a list of excluded prescription drugs. Prescription drug coverage is included in all Ohio State medical plans. See rates for medical coverage. No. Your medical ID card serves as your prescription card. See the Prescription Drug Formulary Guide for a list of covered medications. You might also find your medication on the list of Medications Requiring Prior Authorization. Contact Express Scripts at (866) 727-5867 for more information. The Prescription Drug Plan, VBD and Specialty Plans have a combined deductible and annual out-of-pocket maximum. Refer to the Prescription Drug Plan Summary Chart.